A Real Estate CRM is a customer relationship management software that allows real estate agents, real estate teams, and brokers to manage their seller leads, buyer leads, listing management, transaction management (contract-to-close), repeat and referral business. A real estate CRM organizes and automates follow-up and nurture communication for lead conversion and relationships with clients and spheres of influence. In short, a real estate CRM is the engine of your real estate business machine. 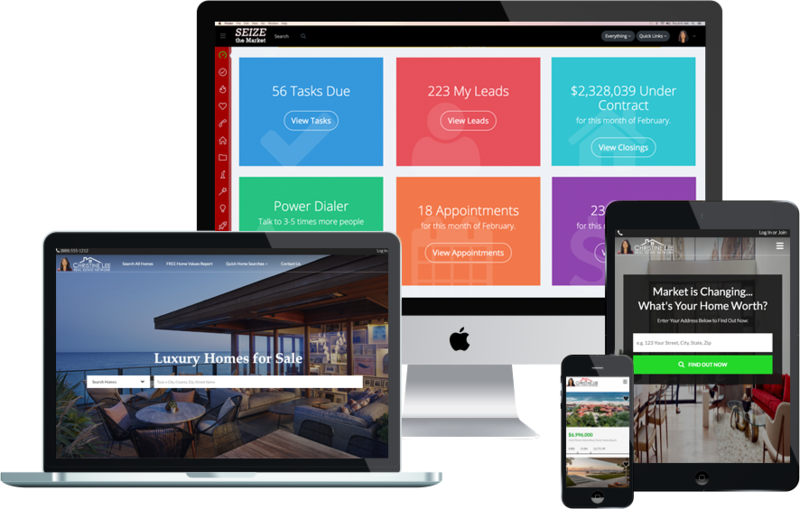 There are some great real estate CRM software out there, but many are made for low producing agents. "One Size Fits All" - This is totally FALSE! This is not true for clothes (even if they print it on the tag, lol), cars, engines ... and it's definitely not true for real estate CRM software. If you're a top producing agent, you are at high risk for ending up with a real estate CRM software that doesn't meet the needs of a larger business which will result in wasting a lot of time and money. Here’s a question for you: Is a brand new driver who just got his license ready to drive a NASCAR race car? Someone who just got their real estate license is not going to have the same needs as someone who’s closing 200 homes a year and has a team of 5. Also, the needs of a team of 5 is very different from a team of 20 doing $100 Million in sales and 500+ closings a year. The “best fit” real estate CRM is going to be different for each size of business so there is no universal right or wrong in the choosing the best real estate CRM. The right real estate CRM software will have features better suited to grow with your business. The best way is to look at your needs for today and for the future. Research what you think you need now and what you may need in the future. Changing from one system to another is like changing an engine of a racecar while it's driving around the track at 200 mph. Implementing a new real estate CRM software in your business is an act that will require commitment, knowledge and vision. However, when done right... it can be a transformational move that takes you to the next level in your business and it’s absolutely worth it. Why Have Real Estate CRM Automation? Automate your Business so that you can add $100,000 to your business without working weekends! The truth is, the day to day of a real estate agent or team is very overwhelming! Between putting out fires and being pulled in all directions, follow-up can easily falls through the cracks. Whether it’s a quick follow-up for a seller lead that wanted to talk in a week or a month, the lack of a proper real estate CRM can cost an agent $10,000 every month in commission income. As a result, not only do real estate agents have to continue to generate new business, they are also making up for lost income from poor systems. If you want to see automation in action now, click here to watch a demo. The biggest mistake that most agents make is treating real estate lead generation as if there is only one type. The truth is there are 2 major types of real estate generation that are very polar opposite in nature. One is a very “in the grind” with cold calling and the other is very warm and relationship based. One requires brute strength while the other requires light touch and love. The 2 types of business are prospecting-based or referral-based real estate businesses. The type of business you are will affect what you want and need in a real estate CRM software. Let’s review the 2 main types of real estate business. A prospecting-based real estate business typically has a lot of cold calling from sources such as Expired Listing leads and For Sale By Owner (FSBO) leads. They can also include cold incoming web leads from various sources such as Facebook, Google Adwords, Direct Mail, and so on. The common thread is that they are cold. They don’t know you or trust you the same way as a lead you with whom have a relationship. Referral-based business is just like it sounds. Most of your business comes from repeat clients or referrals. This can be from your past clients or sphere of influence. The important difference between a referral-based business and prospecting-based is an existing relationship, even if the relationship is from someone that referred you. The referred lead may not know you but there is a transfer of trust because their family or friend referred them so they are going to trust you even if they don’t know you. The quality and dynamic is very different from that of a cold lead. One type of business is not “right” or “wrong” over the other. They are simply different in nature, more as a matter of fact. You don’t have to be just one or the other. You can have both in your business and many do. However most have a stronger side. Some real estate CRM softwares are strong in referral-based business and weak in prospecting while another may be strong in prospecting and not have much for managing referral business and relationships. Once you are clear on the strengths of your business, you can wisely match a real estate CRM software that supports your type of business. Make sure you meet the needs of your bread and butter before you add any other shiny objects and throw your base of business off course. Grass is not always greener on the other side. The newest, hot tech press release may not be the best solution for your business. Be true to you and your business. It’s all about strategy, time, and execution. The one who executes the fundamentals at the highest level wins. To see how you can win using automation, click here for a free demo. 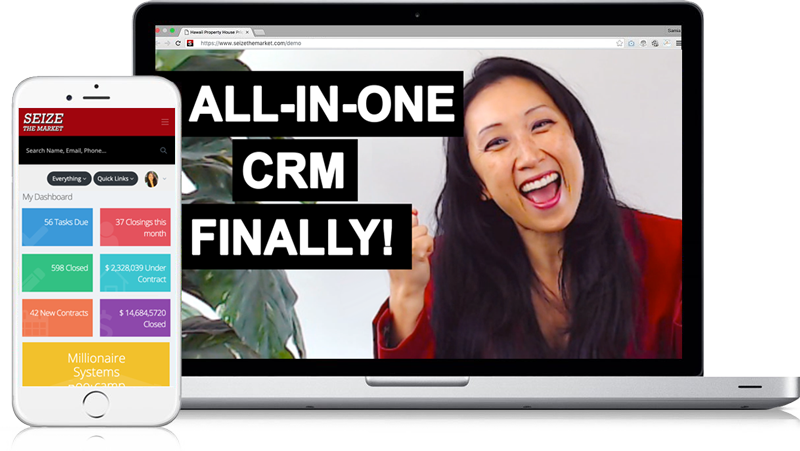 A CRM is a CRM is a CRM... they're all the same, right? A car is a car is a car, right? Smart car, Toyota, Porsche... they're all the same, right? Well, let’s go through a quick example. If you’re a typical, broke college student living in a shared apartment driving from work and school, your needs are probably very basic. You can make yourself pretty comfortable in a small, entry level Smart car. However, if you were a soccer mom with 4 active kids, an all purpose SUV would be a great fit and a lifesaver. In contrast, a Smart car would never fit all the kids with their equipment and you would never be able drive them around at the same time. You would have to make multiple trips and waste hours on a daily basis and hundreds of hours every year. Similarly, when it comes to a real estate CRM, all software systems are not the same. There is a Smart car and SUV equivalent of a real estate CRM. That leads us to our next question you must answer to select the right real estate CRM for you. The growth plan of your business will play an important role in your selection of a real estate CRM. If you don't plan properly for your growth, it will feel a lot like growing out of a pair of jeans and not being able to zip it up. Not only is it frustrating, suffocating and painful it will force your business to step back and cost time and money. The good news is, there is no "right" or "wrong" when it comes to your desire for growth. It’s personal preference. The only wrong plan is not having one. A business without a plan is a hobby. How does a growth plan affect a choosing a real estate CRM software? The needs of a real estate agent closing 20 deals targeting 30 will be very different from someone closing 50 targeting 200. Some agent are very satisfied doing 20-30 deals a year and have no desire to grow beyond that. Some have an insatiable desire for growth and want to dominate the market and then expand to additional markets. The needs for workflow automation, tracking, and reporting will be drastically different. There are real estate CRMs created for teams and have built-in tools for teamwork, delegation, tracking, and accountability while others have no reporting and are designed for 1 person. If you get a system that is not designed for growth, you will outgrow it in a matter of months and find yourself rebuilding systems all over again in the middle of a growth spurt. This is the most painful type of plan that will stunt the growth of an aggressively growing real estate business. It’s much better to plan ahead for system upgrades rather than be forced into one because you reach your pain threshold of disorganization in your business. The important thing is to be proactive so you can make the best, informed decision. 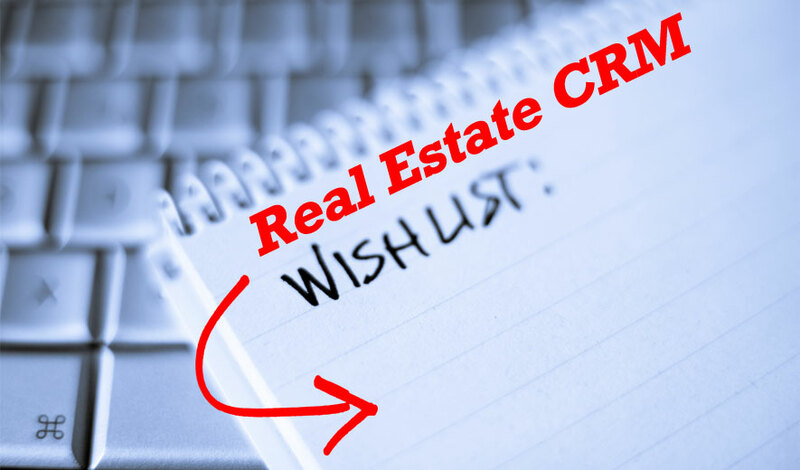 When you think about what you would like to have in an ideal real estate CRM, it’s easy to create a list that is a mile long. Gone unchecked, this can lead to feeling overwhelmed and unrealistic expectations. Let loose. Take out a sheet of paper and write down all the things you would like in a real estate CRM software. This will be your wish list. Be as specific as you can. Create a column to the right and label it “Must Have.” Put a check mark in this column for the wish list items that you must have in your real estate business. These will represent deal breakers (aka the “Must Haves”). For example, if you find a system that doesn’t have this feature, it is absolutely unacceptable for your business. This is how you will start to narrow your search for the right system in the sea of real estate CRMs in the marketplace. Create a third column to the right and label it “Opportunity Cost.” This column will take a little bit more time but it will help you justify and get clarity on your priorities. Starting with your “Must Haves,” write down the opportunity cost related to this feature. Your answer may be 2 closings a month. If your average commission on a deal is $10,000, then the opportunity cost is $20,000 per month, $240,000 a year. When you get specific on the opportunity cost for the items on your list, then you will start to identify which items have the largest impact on your business. When your values are clear, your decisions are easy. Knowing the value of the dollar impact to your real estate business will make your decisions very easy when it comes to prioritizing and deciding on what you “Must Have” in your next real estate CRM software. 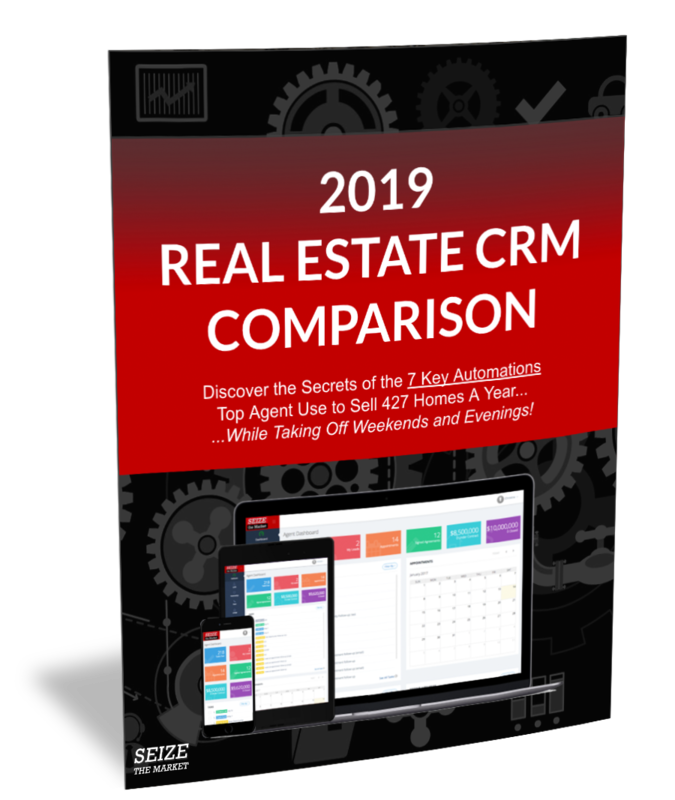 I've created a complete guide to help you compare and review your options when it comes to choosing the right real estate CRM. Click here to download. 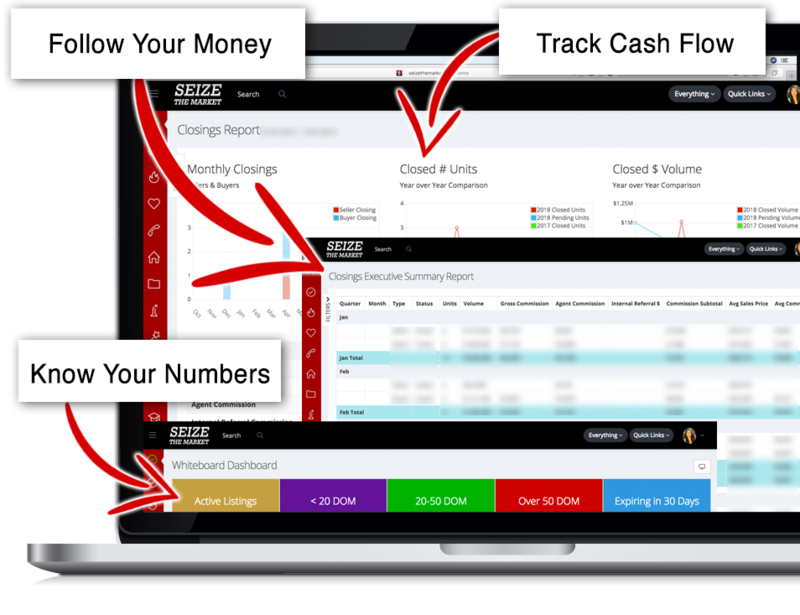 If you want a real estate business that can run without you so you can make more income while working less, there are 7 key automations you need in your business. These are the same automations that top real estate agents use to sell 427 homes a year without working weekends. All businesses grow and thrive on lead generation. Whether you have a referral or prospecting based business, automation is a key ingredient to having consistent and reliable touches that will generate a consistent source of revenue. A common situation for real estate agents is having half a dozen different lead strategies broken up throughout different systems. 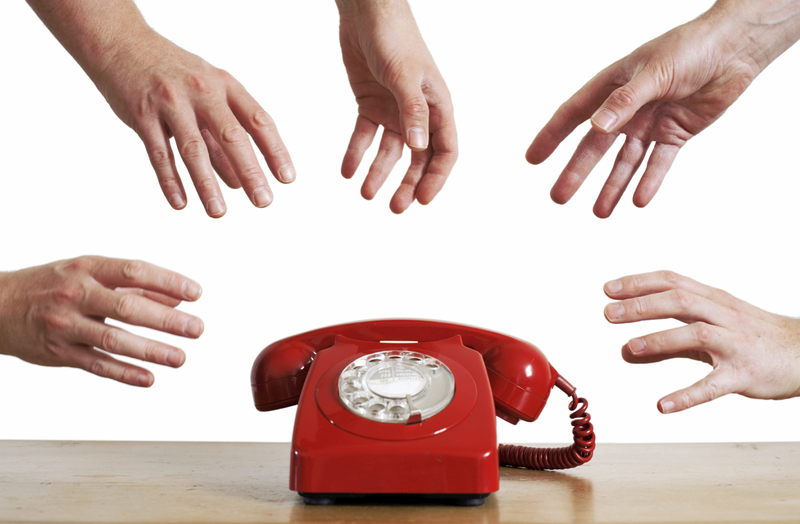 An agent may have 6 different logins to communicate with leads from various sources. When an agent is working part-time or has low volume, this may not be a noticeably painful problem. However, as the business grows, the inefficiencies and disorganizations from having multiple systems will cause agents to lose track of leads, forget to follow-up, and ultimately cost tens of thousands of dollars every single month. The problem with having a patchwork quilt of systems is it is not scalable. The current system will not support the significant growth for the business. At some point, a non-scalable system will become too inefficient and cause your business to suffer loss in revenue. The ideal real estate CRM is designed to grow with you, will have the ability to integrate with major 3rd party lead sources such as Zillow, Realtor.com, Trulia, as well as have the ability to generate leads through a variety of lead generating strategies such seller leads, buyer leads, Expired leads, FSBOs, geographic farming, sphere of influence touches, past client touches, Facebook lead funnels for sellers and buyers, and so many more. If you want to see a high performance system in action, click here to watch a demo. Lead conversion is one of the biggest opportunities for most real estate agent businesses. Many agents hide their problem of lead conversion by buying more leads. That must be the answer, right? And not to worry, there is no lack of companies out there that will sell an agent leads. The truth is, most agents don’t need more leads, they need better lead conversion. Buying more leads may result in more closings but if you never fix your lead conversion, you’re needlessly wasting a ton of money. For example, most people have accepted the standard of internet lead conversion being at 2-3%. However, skilled teams convert as high as 5-10% consistently. What’s the difference? It’s not the quality of leads. Although the idea of a magical silver bullet source of leads is very alluring, the truth is, the top performing agents have similar sources much like everyone else. Think about it… if there was a chicken that can lay a golden egg for seller or buyer leads, don’t you think everyone and their brother would be all over it? It couldn’t be kept a secret even if you tried. The point is, there’s no silver bullet for lead sources. Instead of trying to find the magical lead source, the top performing real estate agents and teams focus on lead conversion. This is the most effective way to increase your income without spending a dime and is a great example of spending smarter not harder. Every lead that comes in should have an instant response notification go to the lead with an appropriate welcoming message followed by a call to action. Every lead should have an email drip triggered automatically; no exceptions! Every lead should have an agent assigned to it who is notified of its arrival. There should be automatic alerts for key activities such as saving homes, repeated views for a specific properties, or updating home searches. You should receive Automatic notifications for follow-up so you know exactly who to call every morning as you start your lead generation. To see high powered automation in action, click here to watch a demo. 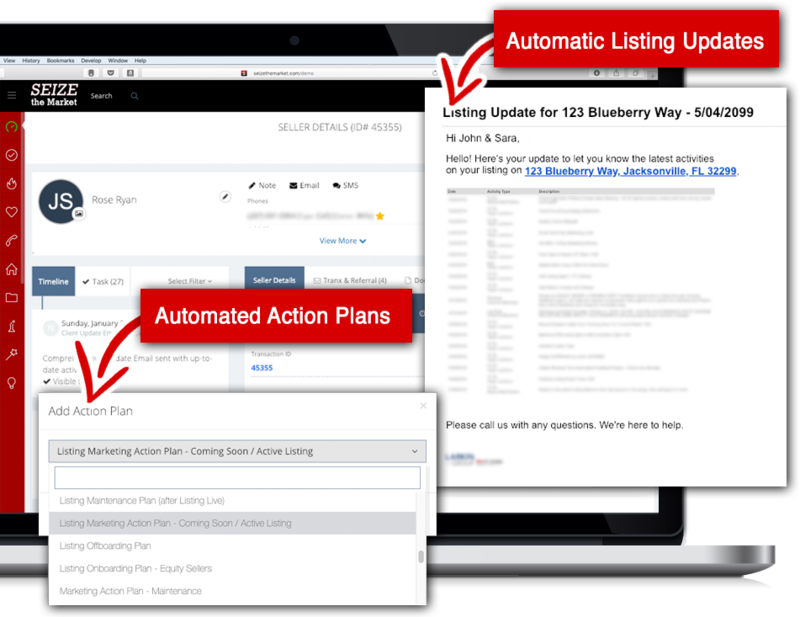 A real estate CRM should have an automated workflow that generates tasks for every activity from the moment you get a signed listing agreement to the day it goes under contract. With a click of a button, every single task to comprehensively manage a listing is automatically assigned and perfectly timed. Your runner knows exactly what to do and when to do it. 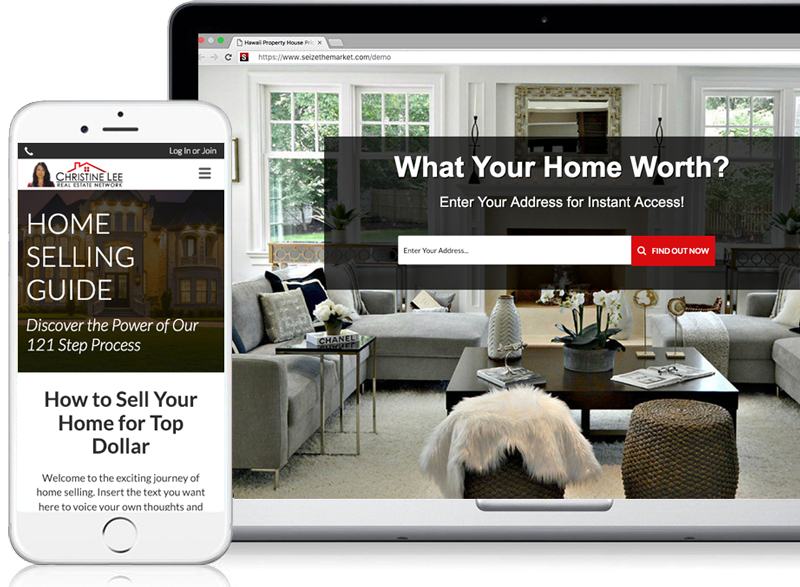 Your listing manager can perform the pre-listing duties with ease. The photographer and stager are coordinated and the final touches to the listing are made. A high performing real estate CRM software automatically informs the seller about all the steps you are taking to prepare and market their home in full detail. This is done without you lifting a finger, so it never fails to happen and nothing slips through the cracks, which creates an amazing, high-touch communication experience for your seller that turns them into raving fans of your service. If you want to see it in action, click here to watch a demo. A real estate CRM software for transaction management will allow you to automate this process with a click of a mouse. Imagine your seller or buyer automatically getting an introductory video email when they go under contract. They also get a phone call from your transaction coordinator and a video email from her explaining what to expect in the next steps. Your clients are always highly informed as they receive daily or weekly updates without you lifting a finger. The automated real estate CRM software is doing all the heavy lifting for you and your client thinks you’re the best. You and your team never worry about forgetting anything in the process. Every step is systematized and you deliver consistent high class results because of high level automation in your business. All critical dates such as inspection, appraisal, and financing contingency dates are built into the system and tasks are triggered to remind you of the deadlines. The daily reminders of the tasks don’t let you forget the critical dates and clear tasks and organization make it easier than ever to handle double the amount of business than before. One the the most efficient ways to achieve this result is to have a real estate CRM that is an all-in-one. While most agents have multiple lead systems, then another for listings and another for contract to close transaction management, having a system that handles everything from lead to close is the path to being scalable and designed for growth. The top performing agents that sell 427 homes without working weekends built a long lasting business by having a long term vision and mindset of efficiency and reliability. This means the business was built on strong systems and processes on the shoulders of a real estate CRM software. To see automation used to close over $100 Million, click here to watch a demo. Referrals are the heart of successful real estate businesses. It is the hottest and most loyal lead you will ever find. Top performing agents and teams generate over 200 closings per year from referrals and over $1.2 Million in gross commission. Referrals are a huge opportunity! What most agents don’t realize is how many more referrals they should be getting. 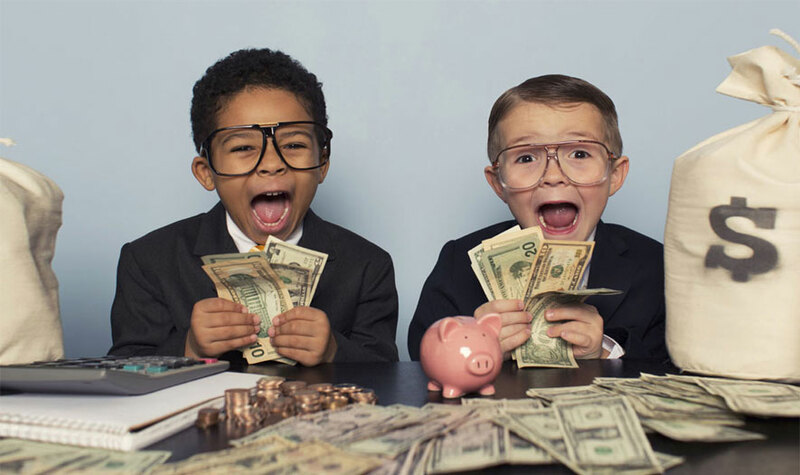 Many agents get less than 25% of the referrals they should be getting and as a result they leave over $100,000 on the table while chasing cold, dead leads. The key is having a real estate CRM software that will allow you to organize your referrals and raving fans by automating your communication so you are always top of mind as the real estate expert of choice. Does your real estate CRM push notifications to you for special dates such as closing anniversaries, birthdays, and wedding anniversaries? Does your real estate CRM link relationships so you can capture multiple opportunities to communicate with special dates? 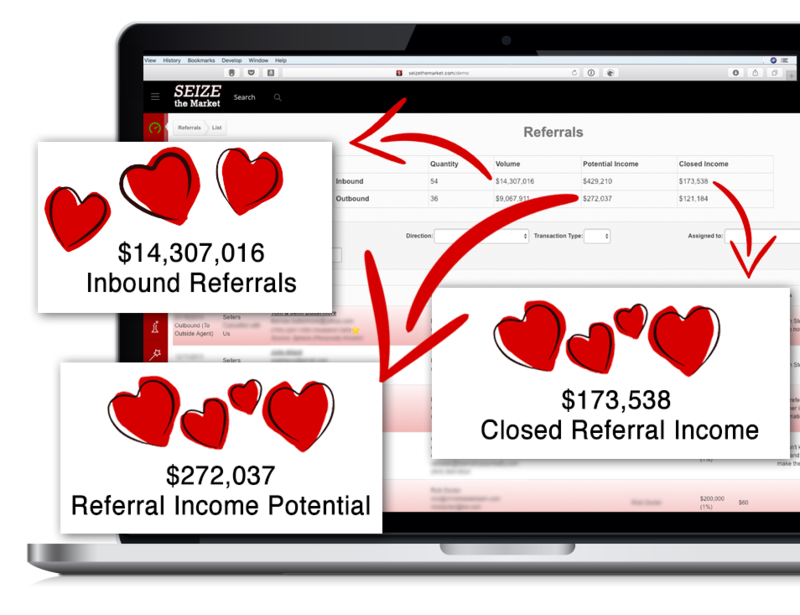 Does your real estate CRM track your referrals so you can easily see how much money you have generated from referrals and who your most valuable raving fans truly are? If you answered “no” to any of these, then you are losing time and huge opportunities to grow your business the easy way. It’s all about the referral systems and processes that a real estate CRM can provide. This is a huge factor in the future success of your business and how easy or hard it will be. Systems and processes with a powerful real estate CRM are how top performing agents make more while working less without working weekends. Click here to see it in action now. Have you ever imagined what it would be like to take a vacation and truly unplug for 2 to 3 weeks at time and see your business continue to generate income and grow? The key to having this become a reality is through people. Most agents make the mistake of bringing on people and throwing them into a business that lacks the systems and organization to support the success of their new agents or admin. They also lack the training and support to set them up for success. To compound the problem, they usually hire without using proven systems and models and make painful and very costly mistakes, reinventing the wheel and making common avoidable mistakes. The great news is that the right real estate CRM, designed to grow with you, will have tools that enable you to find and hire the right talent. The right real estate CRM will have built-in systems and automations that are designed to attract talent for the right position. It will enable you to properly market and filter out the bad candidates so they don’t waste your time. The right system will have training for your new hires, new agents, and admin without you reinventing the wheel and spending precious time out of your day to do what has already been automated for you. Hiring the right talent should be part of your long term plan. This will be the key to your next level of growth and your ultimate freedom. 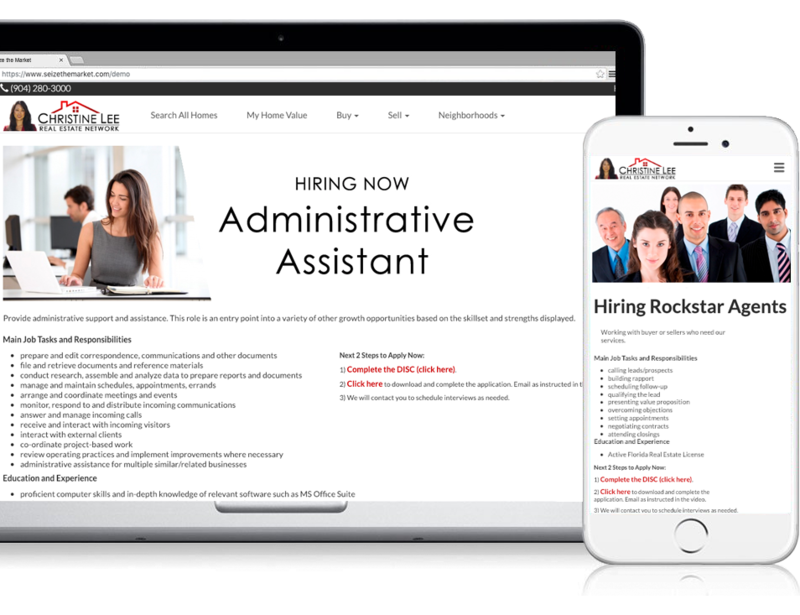 To see how you can have automated systems for hiring talent, click here to watch a demo. The main difference between agents who sell 4 homes a year versus those who sell 427 homes without working weekends is the fact that they treat their business like a business and track key metrics that cause their business to thrive. 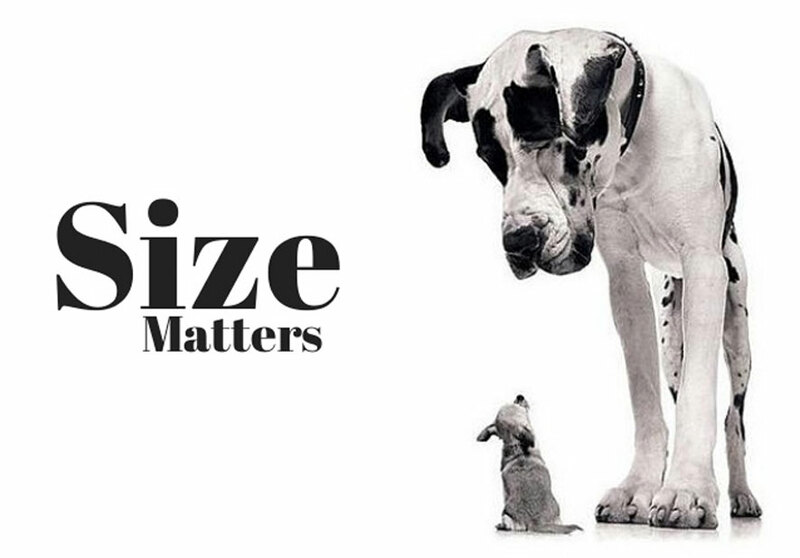 Do you know the key metrics in your business? Are you able to access them with ease so you can review them regularly? Are you tracking key metrics for lead generation and conversion? Are you tracking key metrics for your referral business? Are you tracking key metrics for your listing business? Do you know the top sources of business and the cost per lead, listing, and closing? If you answered “no” to any of these and you are looking to grow a business that can run without you, we highly recommend exploring systems that will automate this so you can access this info at a click of a mouse. To see how top producers track their business using automation, click here to watch a demo. What is a Single Purpose Software vs. an All-in-One Real Estate CRM? What is a Single Purpose Software? This is when a real estate software has a single primary purpose or scope. An Expired & FSBO system is a great example of a single purpose software. It’s designed specifically for and only Expired & FSBO lead generation. Another example is having several different lead sources with multiple different logins. Those tools may be designed just for generating leads, nothing more, nothing less. If an agent only has 10-20 leads a month, it may be manageable, but when they have 50 to hundreds a month, it will eat away a tremendous amount of precious time and easily cost $10,000’s in production. Single purpose softwares typically do their specific scope of the business and don’t touch anything else. Neither of the two examples above handles listing management, repeat clients and referrals, contract-to-close, recruiting, business tracking, reporting, or accountability. This means you will need separate systems to run each of those areas of your business. There are some excellent single purpose softwares but as you continue to grow your business, it isn’t a matter of if, but a matter of when you will outgrow your single purpose software. What is an All-in-One software? An All-in-One software enables you to operate your whole business using one software. It performs the functions of multiple single purpose softwares. For example, an All-in-One software will serve your business by having a lead generation, lead conversion, listing management, contract to close / transaction management, referral systems, power dialer, texting, recruiting, tracking and reporting all under one roof. 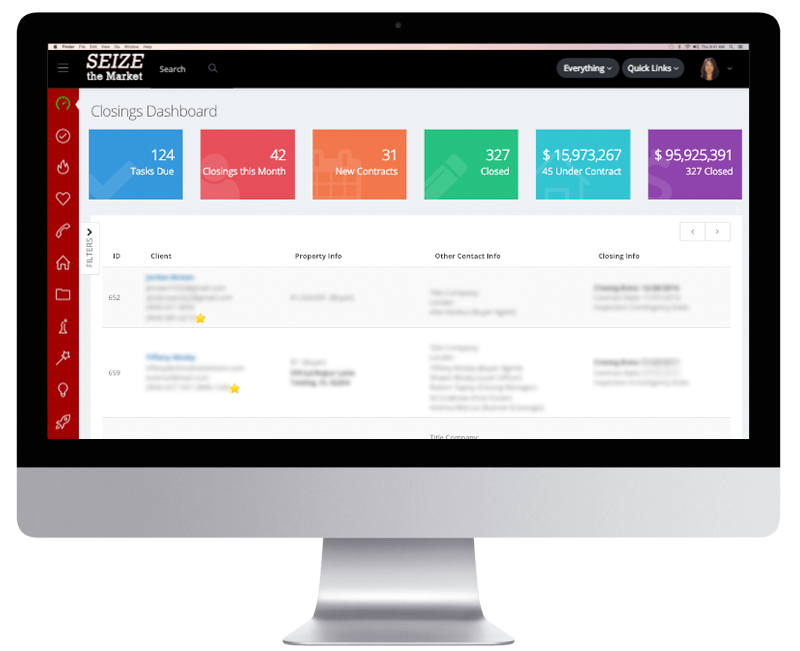 An All-in-One real estate CRM can eliminate tens of thousands of dollars of wasted time and profit loss per month. Do Your Goals Match Your Systems? If your goal is having a business that functions like a well-oiled machine that can run without you, then take a close look at what type of machine you are building and with what parts you are building it. What is at stake with the choices you are making now? Time, money, energy, frustration? What is the ultimate price you’re going to pay? You have a separate system for FSBO & Expired leads versus transaction management. You have half a dozen logins for various lead sources that don’t funnel into one system. You spend more time logging into multiple systems and copying and pasting than you do actually working the leads. You drop the ball on follow-up because of having multiple systems. You feel overwhelmed by all the disorganization and it’s costing you time and money. Most agents grow out of a Single Purpose System. A Single Purpose Software, just like it sounds, handles one need of your business vs all of your needs. It may be a software for leads, a website, a dialer, transaction management, referrals etc. It is not designed to handle your whole business. Here are examples and cost that many agents pay for separately. Does it really matter as long as you get the job done? It depends. What type of business do you want? Are you happy with 20 closings or do you want to do 100 to 200+ closings without working weekends? Do you want to become more efficient? Do you want to work smarter not harder? Do you want a business that will continue to run without you? 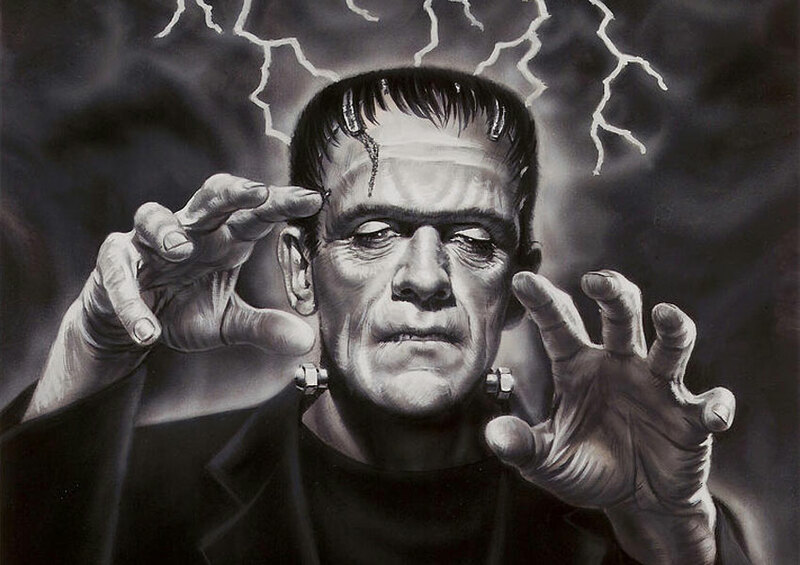 Do You Have a Frankenstein Business? Many agents pay for one or more of these services. Sooner or later, they end up with a "Frankenstein" business where they patched together all these different systems trying to get it to work, but it is clunky at best. When agents add up the cost of all the various systems, they discover they are paying more every month than they would for an All-in-One system. Adding insult to injury, not only do you end up paying more every month, you also end up losing track of leads, missing opportunities caused by all the confusion and chaos of having multiple systems. Inefficiency: As agents grow into the 50 to 100+ closings a month, it's common for them to wake up one day to realize "OMG, I have 12 different logins!" which is extremely inefficient. They find themselves losing track of leads, forgetting to follow-up and not being able to communicate and delegate the tasks that are wasting their time. Loss of Income: Inefficiency ultimately leads to loss of income. Leads are forgotten or lost through confusion and lack of follow-up. Agents constantly have to bounce around mutliple systems and work takes 3 times longer than it should. This can be very frustrating and counter productive. Stunt Growth: The final and ultimate blow to the business is that growth is stunted. No matter how hard an agent tries to get out of the grind, it seems some fire, some inefficiency is prevent them from being a well-oiled machine. If you are an agent that has a vision for a multiple six figure business where you can make more without working weekends, systems will become your weakest link. They suffer because they have poor systems. Having the right systems is a big deal. If you want to take a deeper dive and clearly see what a top producing system can do for you - click here for a free demo. What is the growth plan for your business in the next 3-5 years? Do you want to be at 50, 200, 1000 closings? What type of system do you need to support that? What is the opportunity cost of not having great systems in your business right now? What is the Return on Investment (ROI) that would satisfy your expenditure on a real estate CRM? For example if you got a 10x return, would that be satisfactory? That would mean an expense of $500 would return $5,000 in income, $1000 would return $10,000, and so on. If you know that poor systems are costing you $20,000 a month and a $1,000/mo system would solve that and so much more, would it be worth it to you? Whatever your number is, ask yourself that question and approach it from a business mindset of ROI versus pure expenses. This is the difference between an opportunity mindset and fear of cost mindset. It’s like the difference between playing offense versus defense in a sports game. Are you playing to win or playing not to lose? Identify where you’re at, where you want to be, and the balance that works for you. Whether you’re a new agent, top real estate agent, or running a team, always treat your business like a business. Have a goal or vision of where you want to be in the future and get the right systems and tools that will support you in that journey. 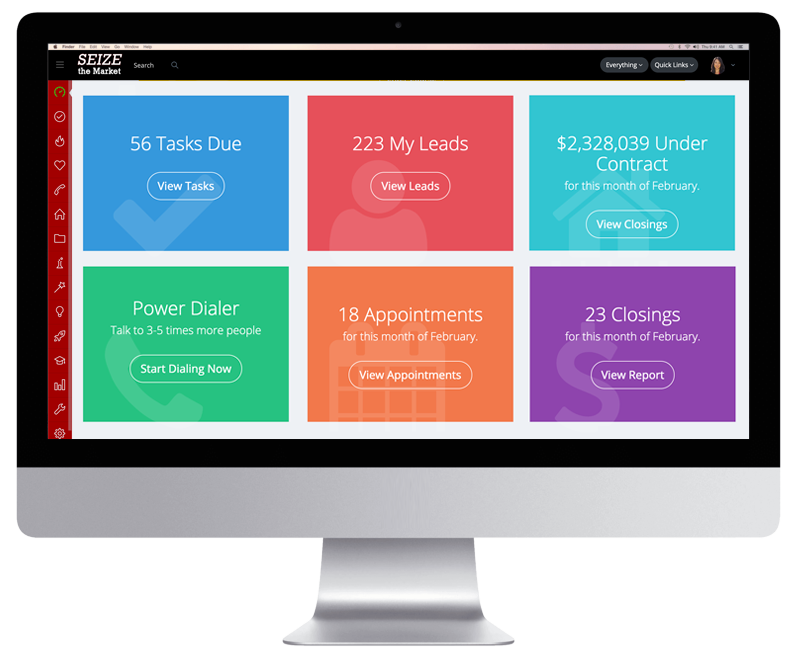 Curious what having an all in one real estate CRM may look like in your business? This step by step demo covers each of the 7 automations, and shows you exactly what an All-In-One solution looks like behind the scenes. After watching, you'll have a full understanding of what consistent automation looks like in your day to day process, and why it is one of the most powerful next steps you can take to grow your business and free up your time. Click here to see "Behind the Scenes". If you found this helpful, please share this article by re-posting it on social media. Almost there! Please enter your email address and click the "Download Now" button below to get access.